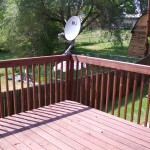 It’s imperative in our harsh Colorado climate to protect your natural wood structures. Wood is an organic fiber and, just like all organic fibers, is negatively affected by prolonged exposure to sunlight, and there isn’t anywhere in America that has more exposure than the high desert of Colorado. As we explain in Exteriors, high-quality stains primarily protect against water by hardening the fibers of the sub-straight, but just as importantly – perhaps more so in our dry climate, they contain a UV protectant – just like sunscreen for your skin – to minimize damage from the sun. 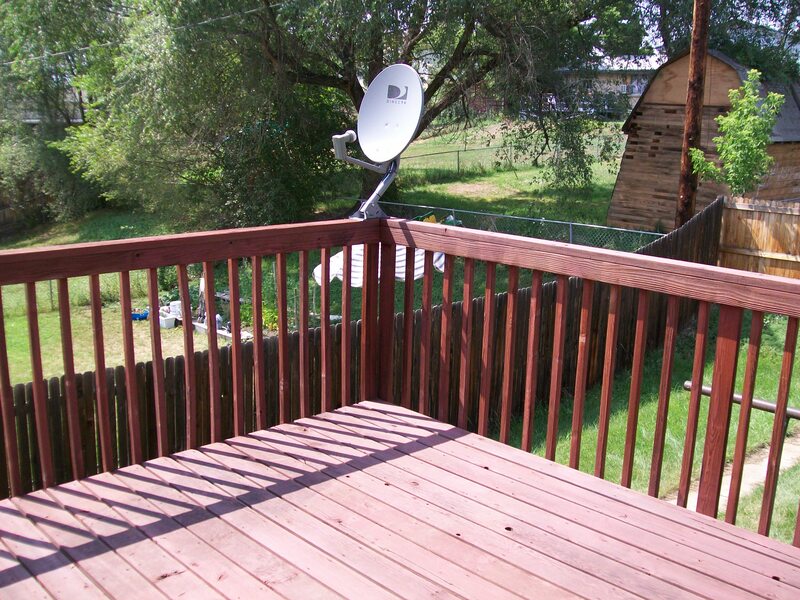 Even with UV protection decks take a beating from Colorado’s sun – especially the floor and rails. Their horizontal attitude means that unless there’s a shade source close by they are in the sun all day, every day the sun is out – around 350 days a year in Colorado. Talk about getting your tan on! but seriously, imagine all the damage that kind of exposure can cause over time. On the other hand, while the vertical surfaces – the spindles on your deck and your fence – do get sun, it’s never all day and it’s never at the same harsh angle. 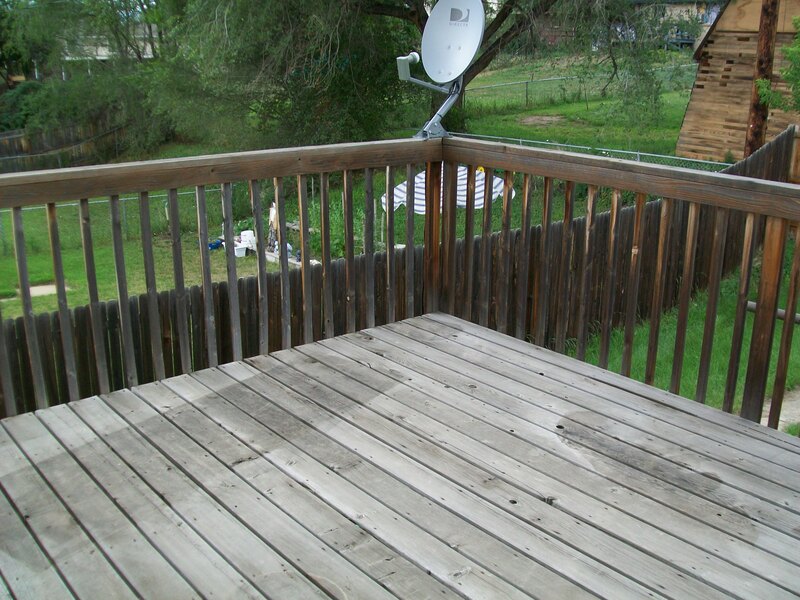 For this reason you’ll want to re-coat your deck floor and handrail about twice as often as the vertical surfaces. 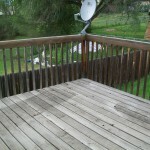 For more on pressure washing your fence or deck, check out our video blog post.